Just leave a review on Itunes… That’s it. You could write whatever you want on the review, You guys know. Write that you enjoy jumping rope, dropping a deuce in the shower, Doesn’t matter. Just write the review, and you are entered. I keep a sharp eye on the review feed. 1. 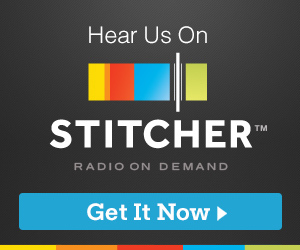 Goto the show’s Itunes/ Apple Podcasts home page. 2. Scroll down to the bottom. 3. You will hit the review section. 4. Tap the ” Write A Review” Option. 5. It will bring up a blank templete for you to create you own review. 6. Choose your rating. Create a title. Then write a review. You could write anything or just leave an emoji. Its up to you. For those who already left a review, I got you too. If you are one of the 31 heads that left a review on Itunes, Just post a link to the show ( From Itunes, Google Play, Stitcher etc.) on your social media page ( Facebook, Twitter, Snapchat, Google +) and hashtag it, #thecrashbox #thecrashboxpodcast and BOOM, you are entered. For those on Instagram, Just create a post with the show’s logo, and hashtag it, #thecrashbox #thecrashboxpodcast. You could write a caption or something else, but it’s not necessary. Screenshot or send me a link to the post so I can verify. Be patient with Itunes, As it takes anywhere from 24 to 48 hours before they greenlight your post. As for each way to enter, I will verify that everything is legit. After verification I will contact the winner and make the announcement on the next episode, give the winner a link to the show’s TeePublic page, Where the winner will be able to pick the Size, Color, and Design they prefer. Thank you guys for the support, & Good Luck to you all.